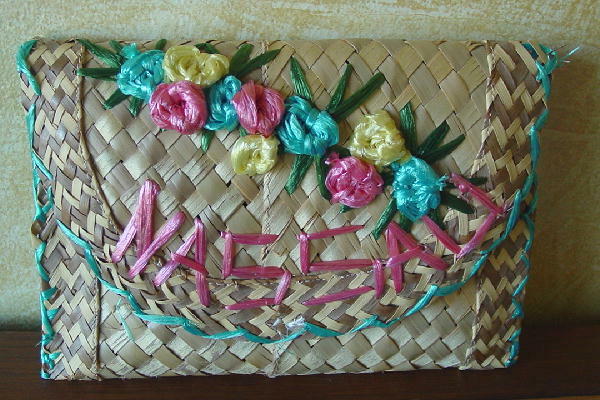 This natural color woven straw purse was made in Nassau. It has an envelope styling with a hidden snap under the front flap. There is blue accent stitching along the flap and both sides. It has 9 little flowers and leaves in pink, yellow, blue, and dark green. Nassau is in pink letters below the flowers.